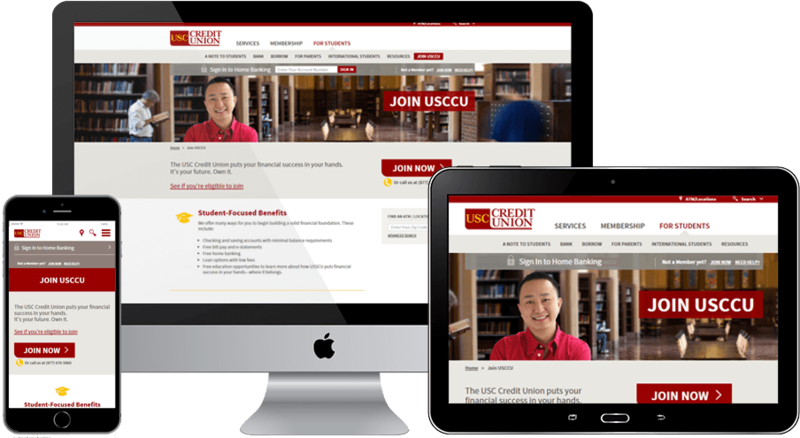 Squeaky was engaged by USC Credit Union to completely redesign and develop a publicly-facing website for its key audiences: alumni, faculty/staff and students. We designed a user-friendly interface which highlights the credit union’s myriad of offerings and is designed to inform and intrigue visitors. 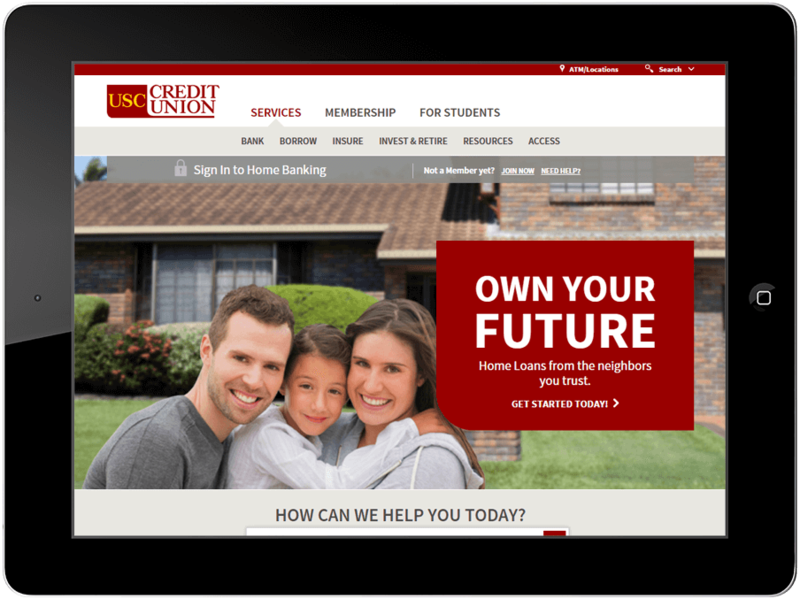 USC Credit Union’s internal marketing team required the ability for anyone to be able to update content on their site—which they were not previously able to do. They needed it to be simple and effortless, so Squeaky integrated the site using WordPress so that the USC marketing team could update important brand messages, product offerings and current promotions. It was important to USC Credit Union that the site be easily accessible from a plethora of devices (phones, tablets etc.). They also didn’t want to have to update both a desktop and a mobile site. 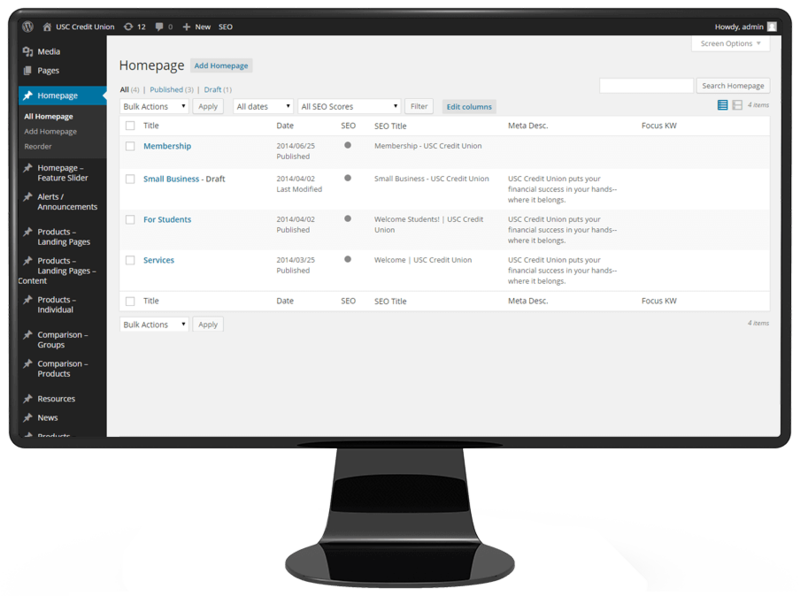 So Squeaky crafted a responsive site that is not only device-agnostic but also provides users on the go with quick access to locate or contact a branch and places relevant offerings at the forefront.